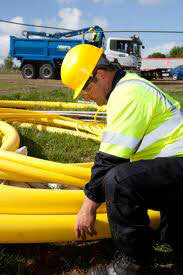 Argon Utility Solutions can provide mains and service installations, for both the Domestic market as well as the Industrial & Commercial Sector, through all forms of gas installations from the simplest to the most complex and through all stages including Design, Installation and Network Connection leading to the final Meter Installation which upon completion is adopted by the local Gas Network. All works are carried out to the highest of standards whilst maintaining our strict health and safety regime throughout the project, both for the protection of our clients and employees as well as the general public. We are accredited under the Lloyds Gas Industry Regulation Scheme (GIRS), so all clients can be assured that these standards will be adhered to. All our teams are fully certificated under the guidelines of GIRS and we ensure that we maintain these certifications and invest in all the training requirements necessary to provide an excellent service.